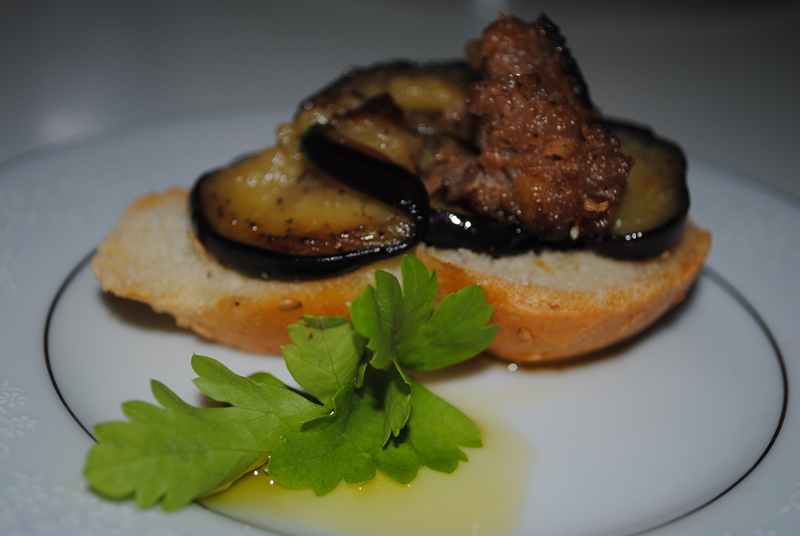 Top my bread with egg plant? Eggplant, a staple in the Sicilian diet. To every market you visit and vegetable stand on the corner there is always an abundance of eggplant. I’ve never understood its plumb form until moving here. Where finally its overabundance caught my instinctive curiosity to infuse this Sicilian favorite with my own American flair. Tonight marked another late evening (Customary for dinner to begin after 8pm) that I prepared this delicately delicious purple perennial. These little yum yums were a hit! Heat extra virgin olive oil on skillet. Toss in salt and peppered sliced eggplant (as shown) let steam (splash of water) to soften then remove. Heat Italian spicy sausage in same skillet, breaking up before thoroughly cooked, remove. Slice Italian bread, set Swiss cheese on top and rest on same skillet, heat until cheese is melted. You’re welcome! I’ve tried a few different recipes with eggplant, but have yet to find one that I adore. i love eggplant and i am going to try your recipe. lovely photos.